​The Ludlow is a medium sized Solid Fuel and Wood stove with a nominal heat output of 6.5kW, (and a maximum heat output of 9.7kW) with 76% efficiency. It is suitable for burning wood, coal, anthracite and peat briquettes. It has a removable shaker grate, ash pan, fire fence and front ash tray. As well as being simple and easy to use, it can be left to burn overnight, so that you can come down to a lovely warm room in the morning. It features the classic AGA black wire handle and will look equally at home in a traditional or contemporary setting. Come and see the AGA Ludlow in our shop on live display. 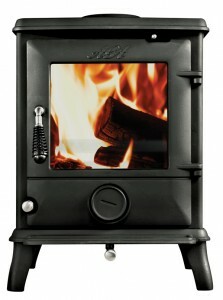 The Little Wenlock Classic is a compact stove which has been designed for smaller homes and standard fireplaces. By using a combination of meticulousness, engineering and intelligent design the Little Wenlock Classic is exceptionally efficient and has been designed with an output of just under 5kW to avoid the necessity of having an air vent in the room. 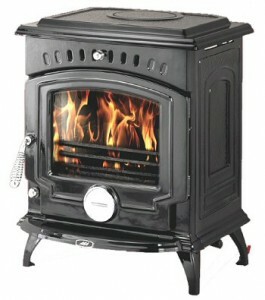 It is supplied with a supplementary wood grate, offering the option of burning wood or mineral fuels. 81.2 Efficiency Secondary Air intake for improved combustion and cleaner glassWood burning or solid fuel options (supplementary wood grate) Output under 5kW, so no need to have an air vent in the room Top or Rear flue Active Airwash System. 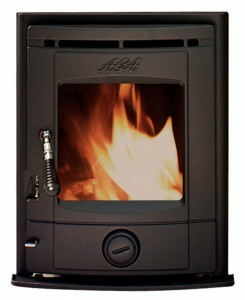 The Stretton is a cassette style inset stove and operates on either Solid Fuel or Wood. It is suitable for burning wood, coal, anthracite and peat briquettes. It has been designed to be easy to install, has a removable shaker grate, ash pan, fire fence and front ash tray. As well as being simple and easy to use, it can be left to burn overnight, so that you can come down to a lovely warm room in the morning. 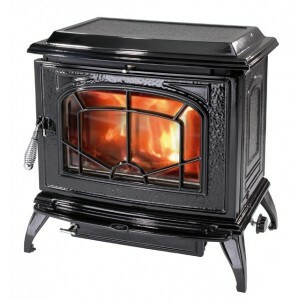 It also features the classic AGA black wire handle.Nominal Heat output – 4.9kW 78.4% efficiency classic AGA black wire handle. 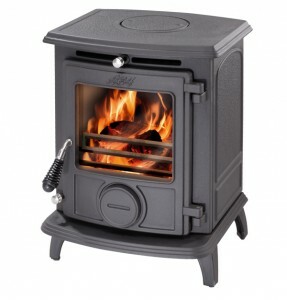 The Much Wenlock Classic is a medium sized solid fuel and wood stove with a nominal heat output of 5.5W (maximum 8.3kW) with 77% efficiency. It is suitable for burning wood, coal, anthracite and peat briquettes. It has a removal shaker grate, ash pan, fire fence and front ash tray. It’s simple and easy to use and can be left to burn overnight. Like the standard Much Wenlock it has the same black wire handle and air inlet control and will look equally at home in a traditional or contemporary setting. Clean lines and compact design combine high efficiency, clean burning and automatic control with all the warmth and comfort of wood heating. 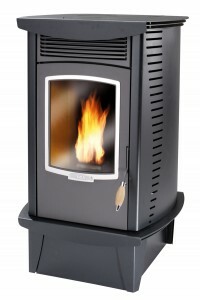 With up to a 13kW output, the Fusion provides beautiful warmth and is suitable for any large room. The AGA Fusion Pellet Stove efficiently, conveniently and cheaply converts biomass in the form of Wood Pellet Fuel to heat while giving off almost no wood smoke, helping to protect the environment. Wood Pellets are a renewable, clean-burning biomass product made from renewable substances, such as recycled waste wood or short rotation coppice wood. Efficiency over 90% Automatic start up cycle Modulating heat output capacity from 4.1kW – 13kW Built in room thermostat Average fuel consumption per hour 1kg*Average fuel consumption per hour 1kg *Optional remote thermostat.